How do you feel about your leadership journey at this very moment? Do you enjoy it? Are you fulfilling your passion? Or is it dreary and tough to get out of bed every morning? In a perfect world, you would jump out of bed happy and energized, ready to tackle the day with your clients and employees. Your family would go off to school or work happy, everyone would love everything you had to say, and you would be nominated entrepreneur or leader of the year! We all desire a more perfect world, yet perfection is not attainable! Life greets us with unexpected challenges daily and sometimes these become life changing. This year has been a paradox of joy and discovery as I travelled through the knowledge that I have a visual disorder that requires visual rehabilitation. All of which led to an even further reflection on the meaning of work life integration! I am still processing what this means to my life. Eventually I will hope to express my learnings in a way that inspires and benefits others. In the meantime, I invite you to join me in the process of journaling, a technique that often helps us feel more alive, increases our energy, and records both our unexpected and mundane learnings! In leadership coaching a key competency is helping you develop your ability to reflect, learn from experiences, make decisions, address key concerns, and based on feedback, determine priorities to set the pace of your learning. I need that, don’t you? Yet, sometimes I become lazy with my leadership journal ritual. Recently, I have returned to this productive secret even if it means jotting down a few sentences only. As part of my leadership coaching, I remain an advocate of recording major aha moments, seeing what worked, didn’t work and knowing what to adjust along the way! As a Social and Emotional Intelligence Coach I am assisting you with your ability to know and manage the emotions of yourself and others, a key driver of success in leadership. Coaching and Journaling are vital to this process. 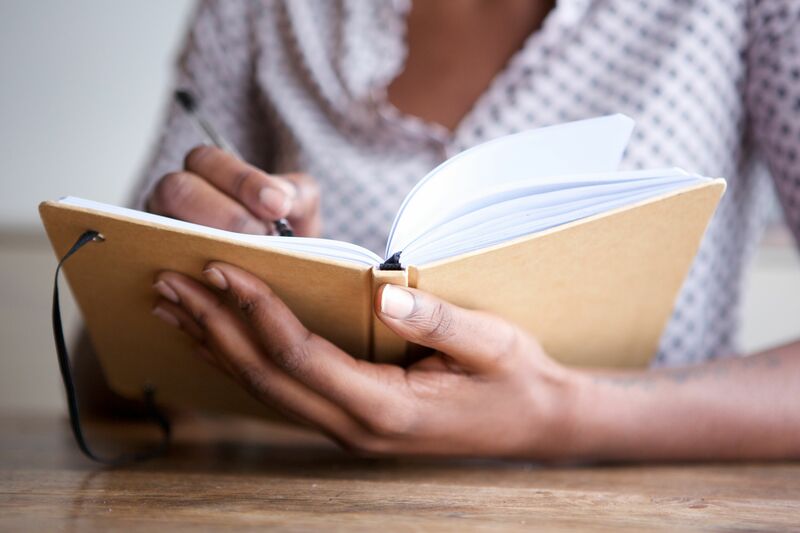 Journaling provides psychological safety, which can be defined as "being able to show and employ one's self without fear of negative consequences of self-image, status or career." Take a deeper dive into psychological safety aside from journaling at HTTPS://WWW.YOUTUBE.COM/WATCH?V=LHOLUUI9GX8 . Coaching and journaling give us the permission to release negative emotions, without consequence to learn and strengthen our resiliency! Having a grateful journal has also been shown to have positive effects on our immune system and wiring the brain for positive emotion. See HTTPS://WWW.TEAMGANTT.COM/BLOG/GRATITUDE-THE-LEADERS-MOST-UNDERUSED-BUT-POWERFUL-TOOLS. The more positive emotions and inspiration we feel as a leader, the more we show up with a positive presence and the greater the impact on family, teams and clients. Other research indicates that journaling decreases the symptoms of asthma and rheumatoid arthritis. Pennebaker believes that writing about stressful events helps you come to terms with them, acting as a stress management technique reducing the impact of these stressors on your physical health. My journal is my friend, I urge you to make it yours. It’s taught me to trust myself and above all it has and will continue to raise my consciousness, self-compassion and worth as a woman in leadership! 1. Have a writing ritual. Attempt to keep it the same time every day. I often light a candle, sit in meditation for 10 minutes (longer if it is realistic). Focus on your breath, in and out for a few minutes. Settle your thoughts and be grateful you are alive and well! 2. Have a journal that works for you and a pen that writes well! Some people draw, diagram, write in circles, mind map, and doodle. Do what you need and desire! 3. Write with candor. You don’t want to lie to yourself. Be real with your thoughts, feelings and opinions. Be as candid as you can. You want your journal to be an honest representation of yourself and the times you’re writing in. 4. Do you want to date your entries and give them a name? I love to go back and look for themes where I struggled and made progress! I often highlight my Powerful FOCUS Stories™ which highlights either a past success or planned future success that can be used to write resumes, ace interviews, promotions, use for branding with the extra bonus reminder to stay confident and STRONG! To begin your leadership journey and journal with me start with Leadership YOU™ - https://www.shelleycox.ca/leadership-you. Shelley Cox is passionate about holding space for leaders to EMERGE STRONG with an Authentic Purposeful Presence to create what you want with impact and influence, the rest follows!